Results for "ironwood pedestrian bridge"
The statue, sculpted by Yoo Young Ho, has been moulded in Korea and will be transported to Vietnam. 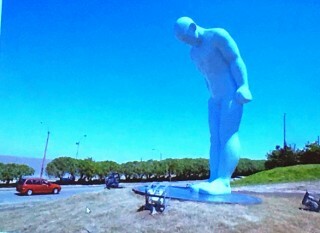 The statue shows the humble, respecting Korean style of greeting the interactant. 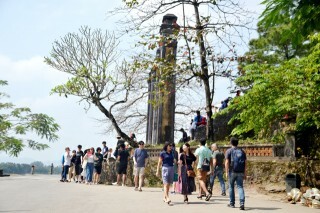 This year's Lunar New Year, visitors to Hue would have more experiences, more events to enjoy, especially in the area of Spring Flower Festival along the Perfume River at Ly Tu Trong Park stretching to the ironwood pedestrian bridge on the Perfume River and Nguyen Dinh Chieu pedestrian street. 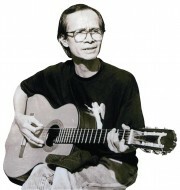 On the afternoon of October 3, Mr. Dong Si Toan, the Head of Economic Department of Hue City said that there were about 13,000 domestic and foreign tourist arrivals in the Pham Ngu Lao - Chu Van An - Vo Thi Sau pedestrian quarter (Phu Hoi ward - Hue City) on the first 3 nights after this quarter had officially been opened to welcome visitors. 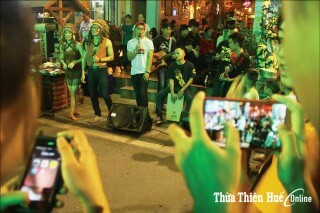 The pedestrian quarter commonly called Phố Tây (literally: Western Quarter) by the locals has officially been inaugurated and put into use. 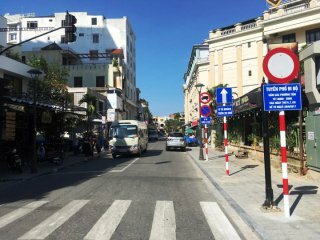 The Urban Management Department of the People's Committee of Hue City has announced the traffic regulations, and parking and stopping spots on the pedestrian streets of the Western quarter (Chu Van An - Pham Ngu Lao - Vo Thi Sau streets). Truong Tien Bridge crossing the Huong River (Hue City) many important sections of which are being repaired and restored. Economic Department of Hue City in collaboration with Phu Hoi Ward People's Committee organized two training courses on Commercial civilization and Business behavior culture for business households on Pham Ngu Lao - Chu Van An - Vo Thi Sau pedestrian streets in two days September 6th - 7th. 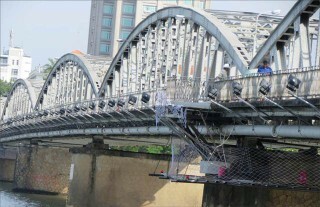 Many sections of the Truong Tien bridge crossing the Huong river (Hue city) is being repaired and restored.